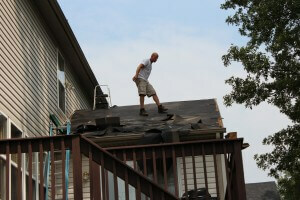 Great Rates on Liability Insurance for Roofers in Ohio, Michigan, Indiana, and Kentucky Are Available Now! Are you looking for roofing contractors insurance? We can help you find the commercial insurance that you need to protect your business. Call 513-662-7000 or 800-998-0662 if your business is located in the states of Ohio, Michigan, Kentucky, or Indiana. Roofing contractors in Ohio face a number of different exposures of which insurance may provide benefit. One such exposure is commercial coverage for your property. You may need Roofers Business Insurance Property Coverage for the physical damage to equipment, furnishings, building and supplies due to covered claim events for your roofing business. Do you own or lease a commercial building for your business? Roofers Business Insurance Property Coverage would be essential because it could cover Buildings that you own, equipment located on the premises, supplies or inventory, and any furnishings such as office furniture that are on premises. If you run your roofing contracting business out of your home please note that your homeowner’s insurance policy will not cover any claims resulting from a business operation. For instance if you have a garage where you store your business material and supplies, and your garage catches on fire due to your business materials and supplies, your homeowner’s insurance company will refuse to pay for the damage to your garage + they will not cover your materials or supplies that were stored in the garage. For the Best Commercial Insurance Rates for Roofing Contractors in Ohio Call 513-662-7000.